"Awesome host Tyler. Thanks Mallory and MSC. Loved the cruise, the treatment was very good. The cruise is beautiful and lots of things to do. But my favorite and my wife's favorite was the Casino. To all the new friends we met, thank you! Thank you URComped! Let's Play!" "Wow. What a great time, great ship, and URComped did a great job. Tyler was so nice. The ship and food was great. Can't wait to go again. My wife won fireball on the last night, $2200. Thank you URComped." " I love consistency and I have always received exceptional service from Urcomped. I've come to expect it and that's rare for me. I'm a very skeptical person. I am so thankful to this company and so happy it continues to grow and thrive. I think it's always good to try something new. For those of you considering taking your 1st cruise with them DO IT. I waited about a year thinking there's a catch and this is too good to be true. I missed opportunities. I was loyal to Carnival. This is cruise #5, 3 Royal Caribbean, 1 MSC, and Celebrity I would have never experienced any of these without Urcomped. I am not a paid spokesperson, just someone who likes to see others happy. Labadee is their private island. It's HOT. I liked that they served us lunch on the beach. You aren't handing over your offers, so if it doesn't work out go back to what you know. This company takes care of everyone. You are valued as a newbie or veteran customer." "Great company and Mallory is the Best"
"Great having Lexi book my cruises! Easier for me and great deals!" "Received my Lucky URComped Shirt! I'm excited!" "Just got set up on yet another trip with urcomped with Stephanie. Stephanie is amazing, professional, quick to return emails and calls. Stephanie is very helpful in making booking an easy experience! Thanks again Stephanie! 5 Stars! Can't wait for Brazil trip!" "Lexi just booked me on the 7/15 MSC cruise to Cuba! She was fantastic in answering my many questions and was alwaysprompt and courteous. Looking forward to this cruise and hopefully many more with Lexi and URComped!" "I received a UR Comped cabin on the Royal Caribbean Grandeur of the Seas for a 12 day cruise, can't wait to go. Everything was very easy and Lexi was great to work with. I will give you an update once the cruise has been completed. Thank you Lexi for all your help!!" "Lexi was fantastic to work with! This is my first URComped experience and it was great! She answered my questions very quickly and got me booked on the Celebrity Edge with an Infinite Veranda! My wife and I are really excited!! Thank you!!" "Currently on a URComped cruise. People, this is the real deal of a lifetime! We have a balcony stateroom on Adventure. It's 9 degrees in NY! I'm in the Caribbean and slots are paying. I'm pretty sure I have earned more free cruising and having a blast! Enjoyed a bottle of wine with dinner tonight compliments of Casino Royal!" 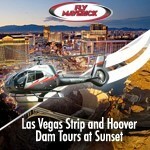 "Great service, great deals and wonderful staff! 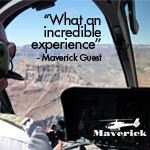 We have had nothing but excellent adventures and generous promos from the owner." "Just booked my 4th cruise thru Lexi at URcomped, and she always gets the job done in a timely manner, and sees to that our needs, and specific requests are met!! She never disappoints!! So glad I got hooked up with URComped, and Lexi!!" "Thank you Craig for being the perfect host aboard Royal Caribbean Oasis of the Seas Feb 10-17! Shout out to Stewart and Lexi! 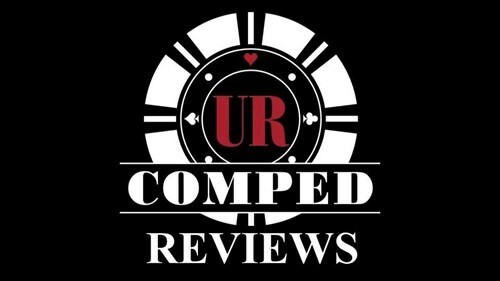 URComped is the greatest way to get the best value and we will be cruising again soon!" "Looking forward to my first cruise out of Galveston arranged by URComped." "Free cruises and land-based options for good players. Super fast response and they go above and beyond for their clients. Love them!" "Mallory my host is so amazing. Responds within minutes. Booked my first comped cruise with her and she knocked it out of the park!!!!!" "Amazing customer service. Just took my first FREE URComped Cruise. So easy- So free. Thank you Tyler and the URComped team!" URComped works with Casino Partners to give Qualified Members new offers (Comps) to Caribbean Resorts and Cruise Lines that they have never been to before. Think you may be qualified?? SIGN UP! (ITS FREE) -upload offers that you've received from either land based casinos or cruise lines to see what NEW COMPS you qualify for! Summer Meetup at Sea! - 5 Night Western Caribbean Cruise! 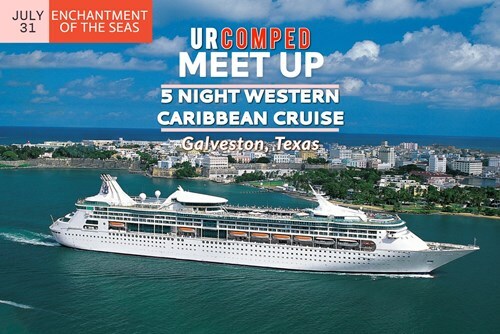 URComped Hosted 5 Night Western Caribbean Cruise from Galveston, Texas! 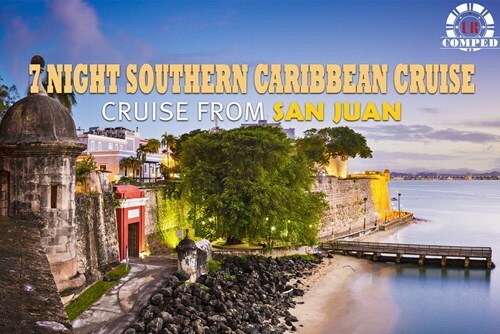 7 Nights Southern Caribbean Cruises from San Juan! Cruise to the Southern Caribbean from San Juan, Puerto Rico! Craps Cruise II - 7 Night Western Caribbean Cruise! 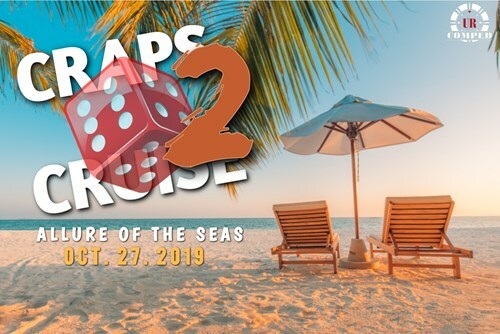 Join the Craps Cruise with fellow URComped Members on a 7 Night Western Caribbean Cruise round-trip Fort Lauderdale!